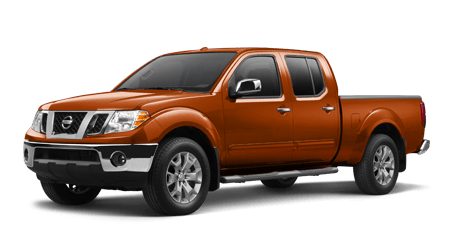 Drivers from around the Kingsport and Greeneville, TN greater area should make a trip to Wallace Nissan of Kingsport to discover the fantastic new 2019 Nissan Frontier pickup truck. If you are seeking a truck that both works smart and plays hard, then you need to see the Nissan Frontier’s amazing range of available off-road features. Features such as the Active Brake Limited Slip, the Electronic Locking Rear Differential, and the Hill Descent Control are all available to keep your off-roading experience safe and fun. The new Nissan Frontier also comes with thee different selectable driving modes to take advantage of whatever terrain you find yourself on. You can experience these impressive performance features and more by scheduling a test drive with us at Wallace Nissan of Kingsport. Visit our dealership near Elizabethton, TN and speak one of our helpful team members. They will be more than happy to show you how the 2019 Nissan Frontier’s available 6,700 lbs. max towing capacity can help you take a dent out of that to-do list. When you drive around town in the new 2019 Nissan Frontier, enjoy the many different technological features that Nissan engineers have included for you. Enjoy music on command with the available SiriusXMⓇ Radio or the available Rockford FosgateⓇ powered audio system featuring ten speakers. It’s features like these that take a regular drive and turn it into something special. We at Wallace Nissan understand the importance of keeping you and your family safe while on the road. It is for that reason we have an onsite Vehicle Service team. One of the most overlook aspects of safe driving is the maintenance of your vehicle. Stop by and speak to one of our service team member on how a simple oil change can keep you and your family safe this year. Visit with us at Wallace Nissan today!